Graduation season is here again! 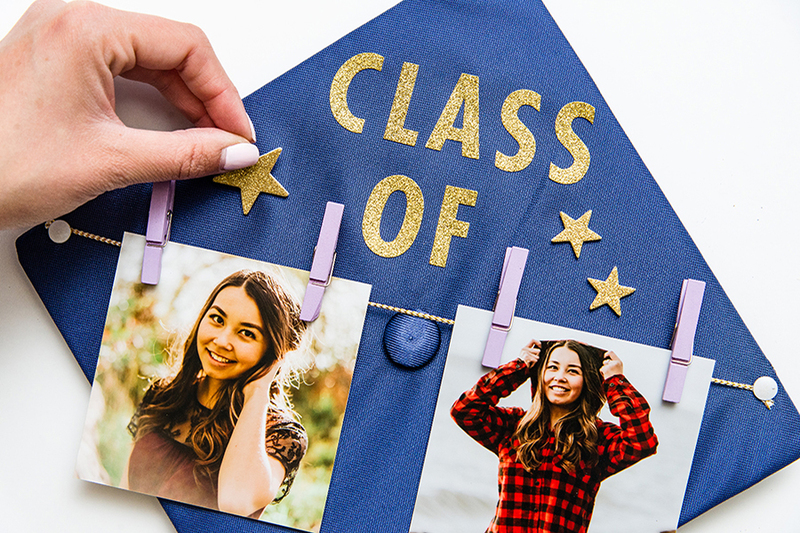 Make sure you’re ready to walk across the stage (or hit the graduation party circuit) in style with these two quick-but-fun photo crafts! 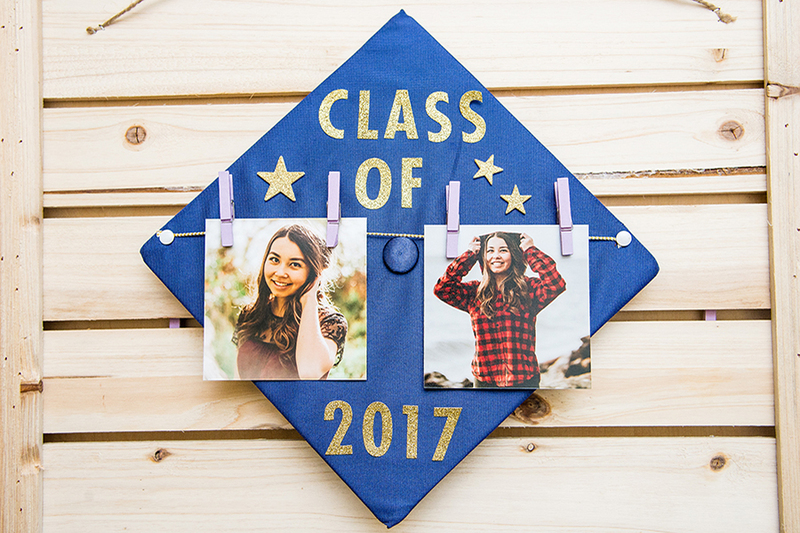 What better way to celebrate senior year than with a graduation cap decked out in your favorite photos? 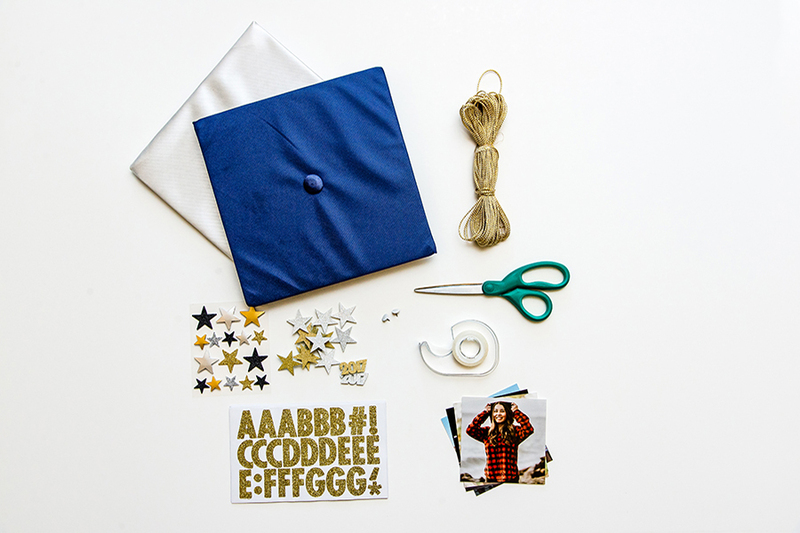 This crafty cap takes only minutes to create, and looks great in graduation day pics. 1. Cut a 12 inch length of the twine or ribbon. 2. Fasten the twine to the cap using two thumbtacks. 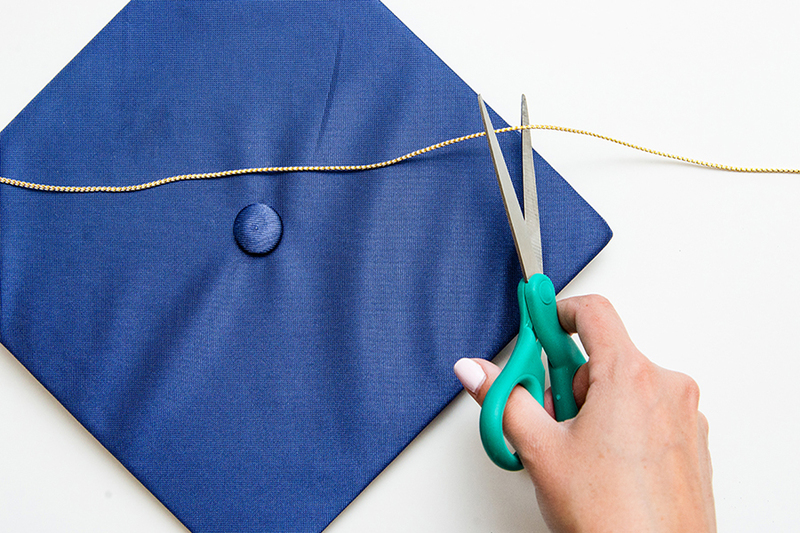 Wrap the twine around the thumbtack once and cut any leftover twine. 3. Pin each Print to the twine. 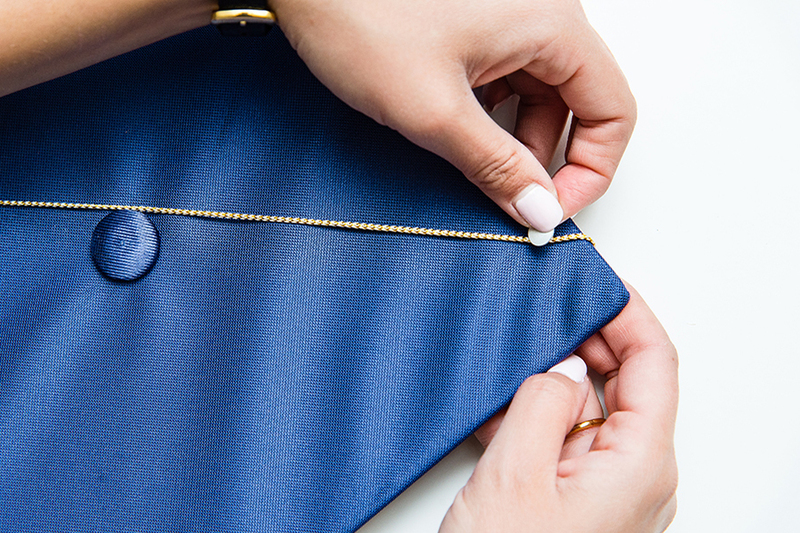 Use clear tape to adhere the bottom of each Print to the cap. You don’t want these to fall off while you’re on stage, do you?! 4. Customize the rest with stickers. Michaels has a great selection of stickers for every occasion. Just be sure to buy stickers that will fit in the space between your Prints! 5. Walk across the stage in style! 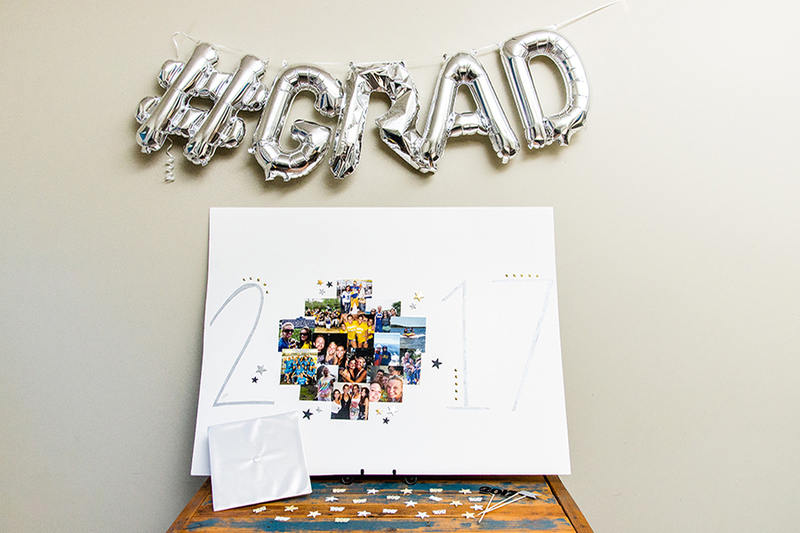 Graduation photo collages are fun custom display pieces for graduation parties. Plus, they’re fantastic gifts for friends to take to college with them! 2. 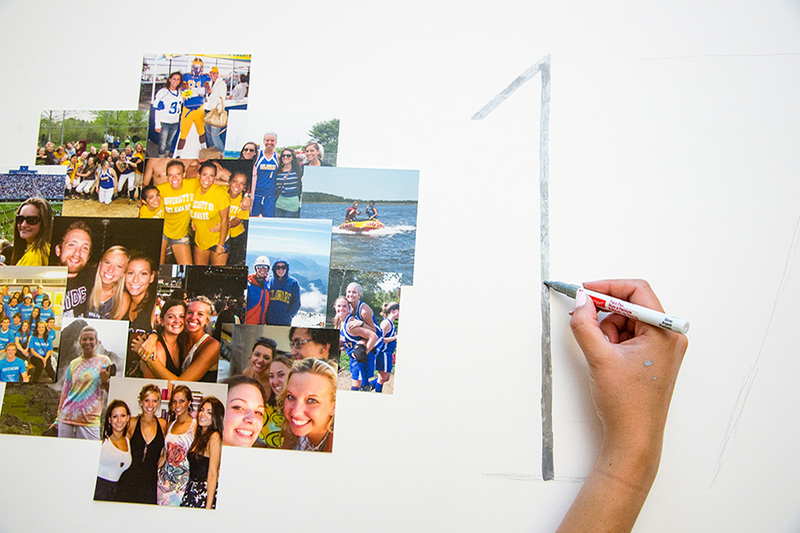 Trace your graduation year on the poster board, leaving extra room for the zero. 3. 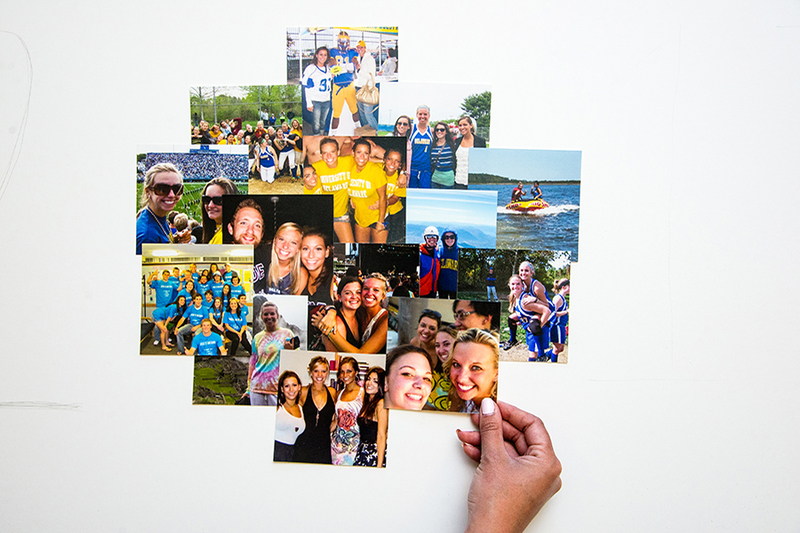 Arrange the 4x4” Photo Prints within the space where the zero would be. Adhere the Prints to the poster board using clear tape. 3. Paint (or draw) over the remaining numbers and let dry. 4. 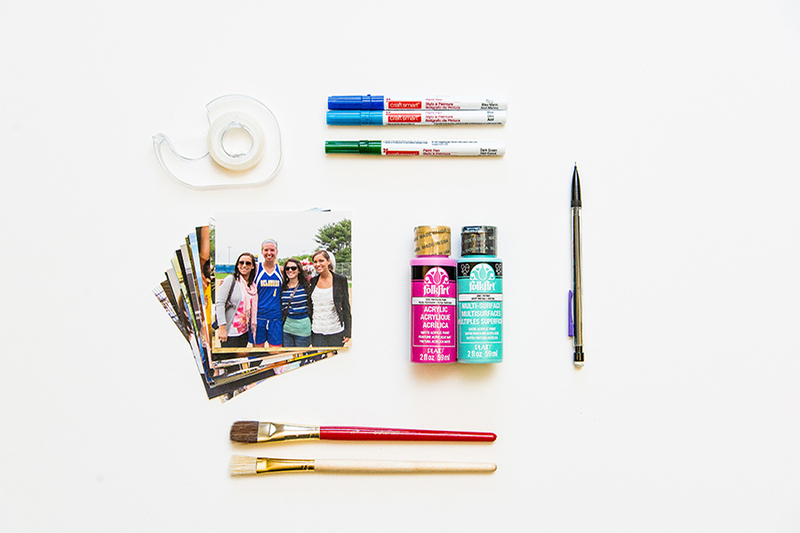 Place in a frame or on an easel to show off your senior year memories with pride! 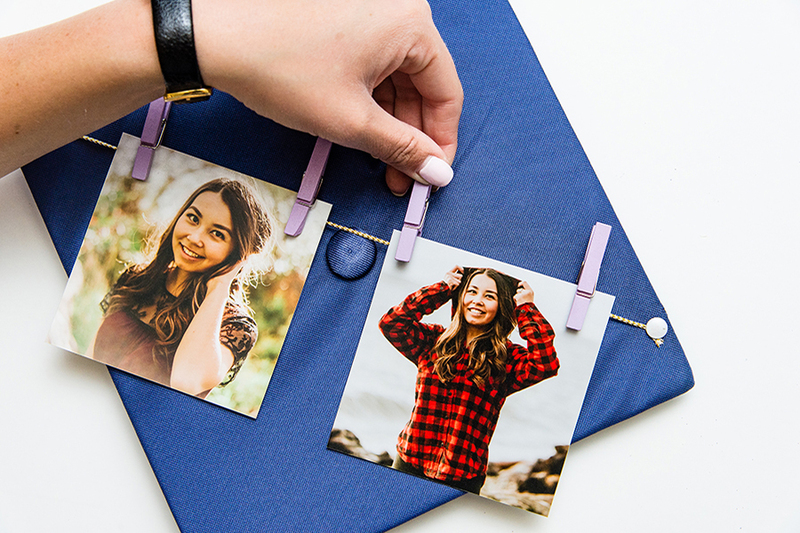 Looking for more personalized graduation gift ideas? Check out the graduation collection today!